If you are working in software development on any level, you are invariably part of a collective effort that is having an unprecedented impact on society today — whether you realize it or not. It is sometimes easy to forget that the underlying infrastructure and code for the apps and software that play a role in so many facets of our life involved, at some point, a human somewhere in the world going through the toil and often pain of writing code — and enjoying those occasional “aha” moments that come with bursts of creativity and just building stuff. The momentum of the open source movement, the resulting explosion of affordable and available platforms and tools and the availability of new technologies, including but not limited to cloud native, Kubernetes and microservices platforms have also played, of course, a major role. 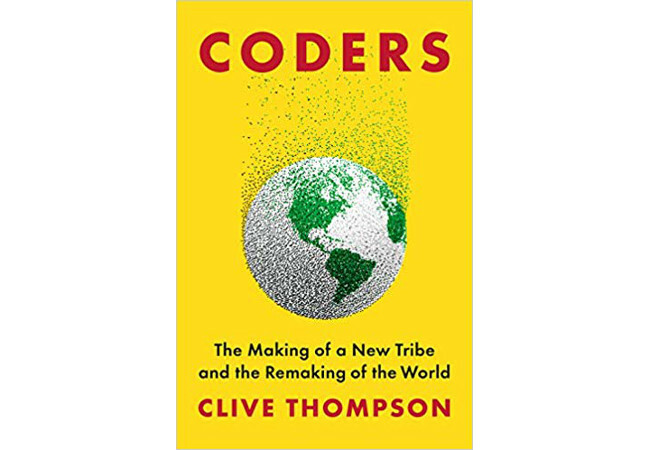 As writer Clive Thompson explains in his new book “Coders: The Making of a New Tribe and the Remaking of the World,” the software engineer or coder, are taking part in something directly or indirectly that has a far-reaching impact on the world we live in today. 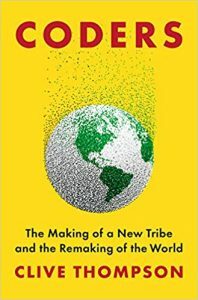 The book, which he details in this latest episode of The New Stack Makers podcast, is based on interviews with over 200 coders, he also discusses about how his book puts software development into its historical context and addresses some of the problems in today’s industry, such as gender, racial and sexual orientation biases — and what can be done about it. Indeed, coding is not so much about writing and development but “fixing broken things, including things that you just created that have never worked or that are already broken,” Thompson said. “We are going to see AI woven into everything,” Thompson said. However, paradoxically, an industry that should continue to have such far-reaching effects on our present and future lives has made backward steps in terms of hiring and accepting women and underrepresented groups in the workplace. For when you think of all of those things that sort of drive the industry away from being a [meritocracy] and pure merit in hiring, you have to counter-act those [negative] influences bit by bit. But before the fixes that are required to achieve acceptable norms of meritocracy in the hiring of women and underrepresented groups are achieved, software development today still remains an enormously rewarding and challenging field to be in. The reasons, as described above, include the opportunity to take part in this continued wave of stack development that has profound societal consequences. But, at the end of the day, the draw is largely about just figuring things out and making them work with great code. 2:03: I’m just wondering if there’s anything in particular that you came across that they might not be aware of? 19:16: How would you describe that paradox in a way that might not be apparent to developers now?